This portrait is part of the USAID Vietnam Clean Energy Program’s series on women champions in the Vietnamese construction sector, featuring women who have made strides in this male-dominated field, coming from diverse backgrounds and with different interests, but bound together by the common themes of a strong work ethic, love of country, a strong belief in themselves, a passion for their work. Ms. La Thi Kim Ngan got into the field of architecture randomly. She studied at the Hanoi Architectural University between 1974 and 1980 and chose to study architecture because the required score for the entrance exam was low. But she soon found that architecture, with its natural tendency to combine science and the arts, was a ‘romantic’ field as it deals with people’s environments and spaces for love, and indeed, life. She soon realized that she and architecture were a destined match. When Ms. La started her first job as an urban planner, she recognized that her field was related to the economical use of land and other natural resources. She was aware that natural resources are limited but human creativity was not. 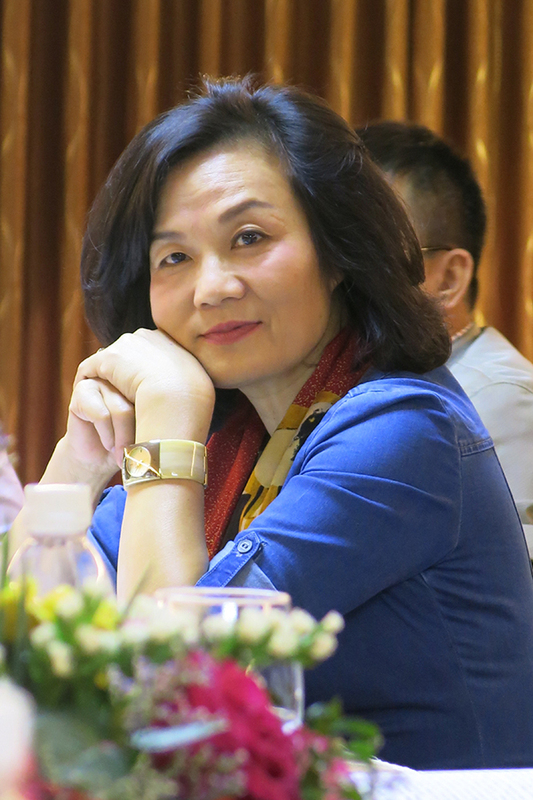 This is why she devoted 40 years to the construction sector, serving first, as Vice Director at the Ministry of Construction’s Vietnam Institute for Urban and Rural Planning between 2003 and 2009, then as Director of the Urban Planning Institute between 2009 and 2012, and finally as head of many different urban planning projects. When designing or managing a project, Ms. La always aims to preserve the natural landscape. She considers which targets should be set for the use of land, water and other resources in urban and rural development areas. She then matches the plan of land use with capital sources to avoid haphazard development, exploiting urban spaces effectively as well as optimizing natural conditions to save on construction materials and energy resources. She openly points out that many urban and rural areas have been developed in Vietnam without effective management and comprehensive integration, resulting in the waste of land, natural resources and funding. She suggests that the government and other stakeholders invest in integrated and well-planned projects to make good use of each square meter of land towards Green growth. Ms. La and her colleagues at the Vietnam Institute for Urban and Rural Planning (VIUP). In September 2012, the Government of Vietnam approved the National Green Growth Strategy for 2011 through 2020 with a vision through 2050. Under the plan, sustainable use of natural resources and limited land in fast growing and increasingly congested urban spaces are keys to strategies and objectives in the construction sector. For Ms. La, achieving the “Vision 2050” for a prosperous and resource-efficient Vietnam should be a concerted effort. “No matter what role you hold in the construction sector, you should exercise careful thought in the use of resources including land, water and other materials. This is the most important element of going green,” Ms. La said. Currently the director at the Vietnam Association of Architects – a position she’s held since 2013 – Ms. La has led several actions to promote the Going Green initiative. The association has been involved in organizing competitions, training courses and talk shows on green urban architecture designs. Held every two years, the competitions publicize the winning entries in order to encourage building owners and architects to actively integrate green designs in their plans. “Balancing home and work duties is difficult, and so is performing your work which should always be done with much preparation, knowledge and innovative thinking. Women can do anything because they are willing to learn, are hardworking and detail-oriented. To be a good leader, a woman not only needs to be self-motivated; she also needs to continually rejuvenate herself in order to be able to achieve balance between work life and home life,” she says. And she seems to have mastered that balancing act. She believes that her first duty to society was to nurture and raise her family well so that they in turn could later contribute to society. Her daughter and son – both of them architects too, and one already married with children of her own – Ms. La is proud to say, have been raised very well.